Just press the chest plate on the LEGO Star Wars Chewbacca Minifigure Flashlight to find your way through the dark! 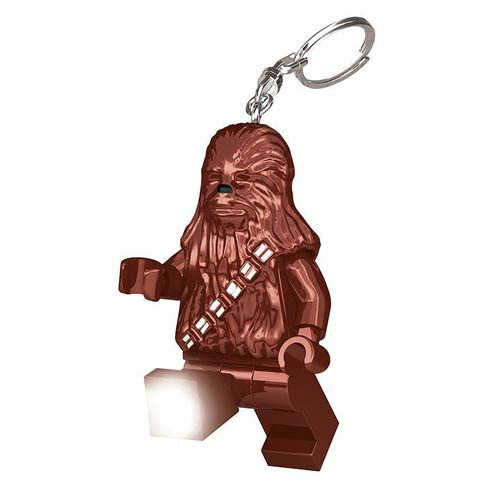 This 3-inch tall Minifigure key chain of the famous Wookiee features poseable arms and light angling legs so you can move them up and down to move the light wherever you wish. Keep the LEGO Star Wars Chewbacca Minifigure Flashlight in your backpack or pocket for easy portability! Measures approximately 3-inches long. Requires 2 x "CR2025" batteries, included. Ages 5 and up.